And that is genetics. 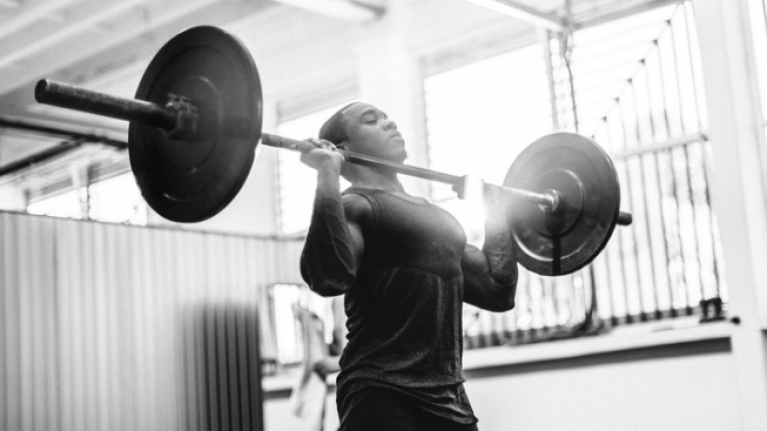 Your genes are arguably the biggest driver behind your response to strength training. For example, I've always had big calves - but have only ever trained them once or twice in my entire life. When someone asks what my advice would be for calf growth, I have to be honest and just state that my Dad has big calves - so that's probably why I do. But biceps on the other hand? To maintain development in this area, I've had to smash them two or three times a week for years. Having naturally weaker muscle groups is completely normal and something 95% of people experience. You may think you're doing everything possible to grow a muscle, but if it's still not responding you might need to strip matters back to basics. Realise that muscle mass is generally built in three main ways: tension, damage and metabolic stress. 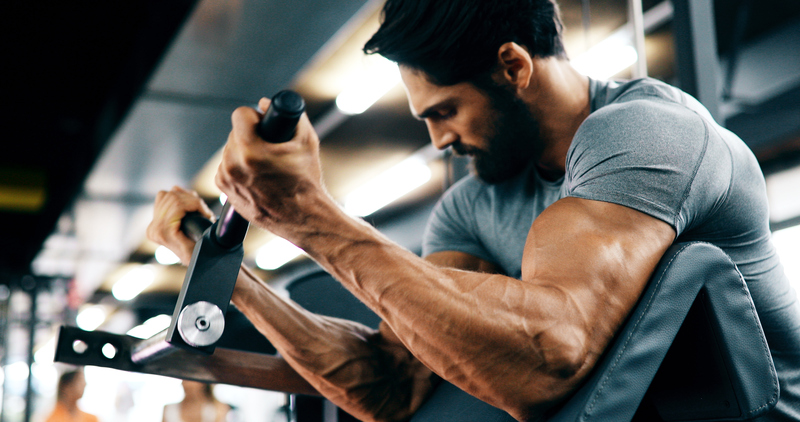 Tension: this is arguably the most important training factor for gaining muscle. It refers to the length of time you're placing a muscle under tension. Focus on keeping your reps slow and controlled. You aren't throwing a weight around without purpose. 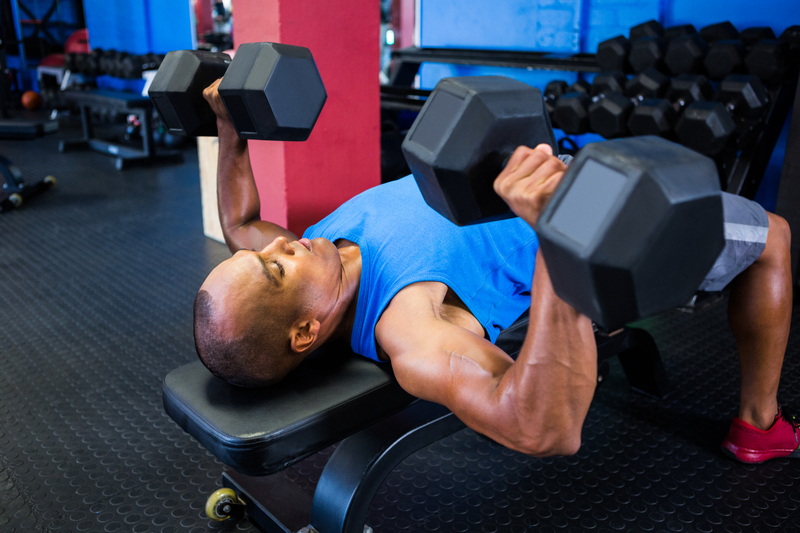 Damage: lifting weights essentially causes breaks and micro-tears in muscle tissue, responsible for the 'burn', 'pump' and delayed onset muscle soreness (DOMS) you sometimes experience. When you consume protein for recovery and get your rest in check, your body will repair these tears and grow bigger and stronger as a result. Metabolic stress: this is achieved when you train directly for that 'pump' sensation. It causes your body to produce certain metabolites which promote muscle growth, and also to retain water in a process known as cell swelling. Exercise scientist Dr. Brad Schoenfeld says that "cell swelling stimulates protein synthesis and simultaneously decreases protein breakdown". When you've got these essentials in check, your training and subsequent results will improve. When you're a novice to the weights room, you're told to focus mainly on compound exercises that work multiple muscle groups at once. While this is true, particularly lagging areas may require an advanced approach using all available methods of muscle recruitment. Isolation exercises: focusing on a single muscle group, these ensure all tension goes through a target area. 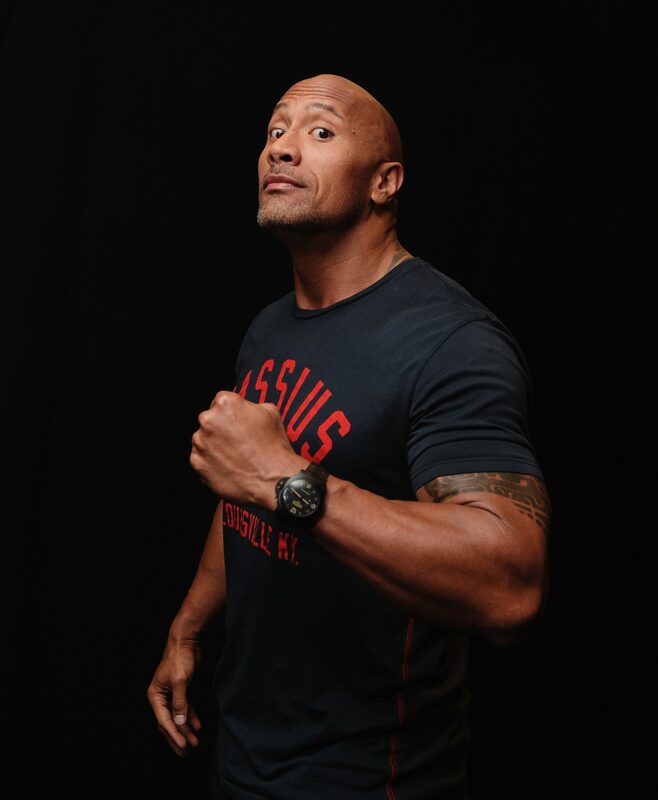 The bicep preacher curl is a prime example. Drop sets: without rest, this involves stripping some of the weight off a machine and then performing the exercise again to failure. Super sets: pairing two exercises back-to-back without rest, these can be used to target agonist (similar) muscles, such as pull-ups into seated row (both working the lats). Super sets can also target antagonist (opposing) muscles such as the bench press into bicep curls (one working chest, other the biceps). Tri sets: these combine three exercises back-to-back, as opposed to super sets which pair two together. German Volume Training: this advanced approach takes 70% of the maximum you can lift on an exercise, and has you perform 10 sets of 10 reps with that weight. In theory, that's what you'll do. But rarely will someone be able to perform the full 10 sets without having to drop the weight again towards the end. Unless you have the genetics of a world class bodybuilder, you'll need to train each muscle group with a high level of frequency. For a natural lifter, hitting a muscle every two or three days is optimal. Research shows muscle protein synthesis needs to be stimulated after two days without training a particular area. Don't expect rapid results. If you're a newbie, you can expect some real muscle size increases early on. But after that, you need to be patient. It can take months on end, if not longer, to envisage significant gains and reach your potential. It goes without saying, but to build muscle and strength your diet needs to compliment your training plan. Don't expect to gain any muscle mass if your diet resembles rabbit food. A slight calorie surplus should work. This can be achieved by working out how many calories you need to maintain your weight, then consuming an extra 10-20% on training days. The extra calories will fuel muscle gain and fat accumulation will be minimal, as calories aren't extreme.